April 18, 2019-The search committee announced today that open forums for University Associate Provost of Research and Innovation Candidates will begin May 7. Three candidates for will begin visiting campus on Tuesday May 7 and conclude May 13. Each candidate will also provide an open forum presentation as part of their interview schedule entitled, “Please discuss your leadership approach to navigate the transition to Doctoral University/High Research Activity (R2) while managing the challenges and taking advantages of the strengths that are unique to UNCW” followed by a question and answer period and informal networking session. Curriculum Vitaes are accessible by choosing the candidate’s name below. Feedback surveys and open forum recordings will be available following each presentation. Details on the University Associate Provost of Research and Innovation position can be found here. The search committee is chaired by Dr. Justine Reel, CHHS Associate Dean for Research and Innovation. April 8, 2019--The Office of Academic Affairs thanks everyone who participated in interviews and open forums of our three candidates for the Associate Vice Chancellor for Community Engagement. This is a vital role to UNCW’s strategic plan and we hope that you will provide feedback on each candidate. Please click on the links below to watch the recorded open forums and to access the survey. We would appreciate all feedback by Monday, April 15, 2019. Further information and the job posting can be found here. Candidate Select candidate's name to access their CV. Monday, April 1, 1-2 p.m.
Dr. Daniel Ennis Thursday, April 4, 3-4 p.m.
Dr. Rena Cotsones Monday, April 8, 1-2 p.m.
Senior Associate Provost, Dr. Rich Ogle serves as the search committee chair. The Office of Academic Affairs welcomes three candidates for the Associate Vice Chancellor for Community Engagement position to campus for visits beginning April 1. Part of each candidate’s itinerary will include an open forum presentation and all faculty and staff are invited to attend. The open forum dates are listed below and candidates' credentials can be accessed by selecting their names. Each forum will be held in the Teaching Lab, Room 1053. All open forums will be recorded and made available after April 8. Further information and the job posting can be found here. As announced in the December 2018 Faculty Senate meeting, in support of requests from the Faculty Senate Welfare Committee and the Provost’s Advisory Committee, Academic Affairs appointed a task force focused on assessing and understanding the variability across UNCW of policies and practices regarding the work conditions, status and advancement of fixed-term faculty (Lecturers). Study the variability in policies and practices across UNCW. Study the variability in policies and practices across the UNC System. Study the variability in policies and practices across peer institutions. Identify best-practices in evolving and integrating fixed-term faculty into the various levels of faculty governance. Provide recommendations to the Provost that will allow for a better balance between consistency of policy/practice and department/disciplinary culture. An important element of this processes is to hear the voice of all of our full-time faculty (tenure-track, tenured, Lecturers, etc.). In addition to completing planned surveys, the task force hopes you will share your voice through participation in one of four scheduled open fora. The experience of fixed-term faculty at UNCW. The current role of fixed-term faculty at UNCW. The evolution of the role of fixed-term faculty at UNCW. The dates, times and locations of these meetings are listed below. On behalf of Provost Sheerer and the task force, I look forward to seeing you and having this important conversation. 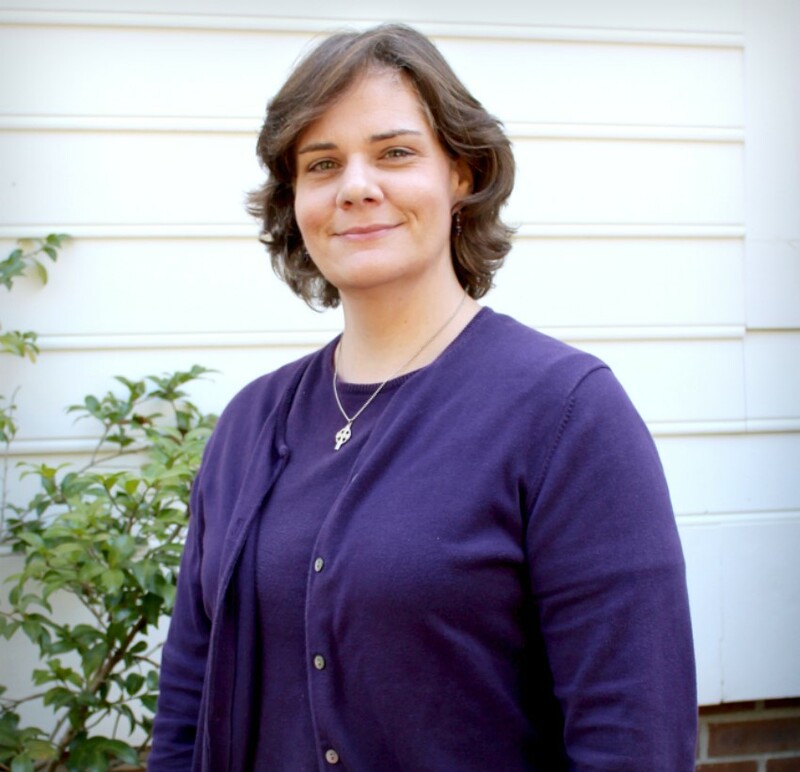 March 1, 2019—The Dean of Undergraduate Studies and The Honors College is pleased to announce the appointment of Dr. Eva Mehl as the new Associate Director of Honors. Dr. Mehl is currently an Associate Professor in the Department of History and has been at UNCW since 2011. She holds two PhDs, one in Latin American history from University of California Davis, and another in European History from the University of Alicante (Spain). She received her M.A. in History from Universidad International de Andalucia. Dr. Mehl has most recently served as the Undergraduate Coordinator in the History Department, where she has taught a range of graduate and undergraduate courses, including “Science, Culture and Power,” “European Exploration and Gender Issues,” and “History of US-Latin American Relations.” As an active member of the Honors faculty, Dr. Mehl has offered Honors courses, supported the thesis process, and mentored undergraduate research funded through SURCA. Her own research examines trans-oceanic and trans-regional perspectives, with a focus on connections between Colonial Spain, China, the Phillipines and Mexico. This includes a recent book published by Cambridge University Press, Forced Migration in the Spanish Pacific World: From Mexico to the Philippines, 1765-1811. 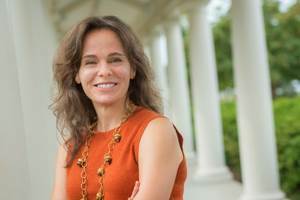 As the Honors College aims to increase its focus on global citizenship and broaden its recruitment of students, Dr. Mehl is ready to bring her unique set of skills and perspectives: “Having taught Honors students for 7 years as a professor in the History department, I am very excited to join the UNCW Honors College in its new journey. With my multicultural personal and professional background, I am particularly looking forward to encouraging Honors students to develop a global perspective and providing them with the unique, challenging, and diverse college experience they expect when they come to us.” A reception welcome Dr. Mehl to her new role in the Honors College will be held later this spring. Meet with Deans & Chairs 8:20-9:20 a.m.
Meet with Evaluation Committee 9:30-10:30 a.m.
Meet with Faculty 10:30-11:25 a.m.
Meet with SGA & Advisors 11:30-12:20 p.m.
To register, please click here. (Or copy this link in your search bar: https://tinyurl.com/yaqux2p4 All sessions will take place in EB 162. And a flyer can be found here. *This is a Faculty Senate Evaluation Committee event. Course evaluation policy and procedures are governed by the Faculty. IRP/IE is a support office, and facilitator of the tool. All decisions and policy-related questions should be channeled through the Faculty Senate. For questions, please contact the Chair of the Faculty Evaluation Committee, Graciela Espinosa-Hernández, Ph D or Dr. Kelly Jackson Charles, Director of Institutional Effectiveness. December 14, 2018— UNCW volunteers packed food boxes at Food Bank of Central & Eastern North Carolina this morning as part of our 24/7 Community Service initiative! #NoOneGoesHungry #EngageUNCW #SENCStrong Food Bank officals estimated that three tons and over 10,000 cans of food were assembled and will be distributed through partner agencies in the region. December 14, 2018—Rich Ogle, Senior Associate Provost and chair of the search committee for Associate Vice Chancellor for Community Engagement, announced today that advertising for this position has begun and will run through February 1. The AVC CE position has been filled on an interim basis by Ms. Kristen Brogdon who is also director of the Office of the Arts. Part of the job description includes coordinating the engagement efforts of the university and managing several community-facing units including OLLI, QENO, Continuing Professional Education and Summer School. Details and a full job posting for the AVC for Community Engagement can be found here. December 12, 2018—The UNCW Staff Senate distributed six Spring 2018 scholarship awards to kick off their December 12 meeting. Awards are $500 each and go to employees who apply online. Dependents and spouses of staff are also eligible. This year's recipients were; Scot Kelly-Academic Affairs, Melinda Cooper-Philosophy and Religion, Ashley Grindstaff-Watson College of Education, Meghan Osborne-University Advancement, Michel Shackelford-Human Resources, and Carly Wilson-University College. November 26, 2018—Provost Marilyn Sheerer officially opened nominations for three prestigious teaching and service awards. The call to department chairpersons, school directors, faculty, staff, students, and alumni included details for submitting nominations by January 23, 2019. The full memo can be found here along with information for faculty to submit nominations for the Hoggard Medal for Achievement that honors a desrving graduating senior in the spring. November 26, 2018—The Honors College is now accepting applications for Associate Director. This is a 12-month position requiring the rank of associate professor or above with tenure. Candidates must possess strong organizational, interpersonal, and communication skills. Experience in honors teaching and honors project supervision is a plus. Administrative duties of the Associate Director are listed in the position description. Direct application materials, including a cover letter, CV, and statement of Honors philosophy to the internal search here. November 20, 2018—Four candidates for the University Registrar position have completed campus visits and thier open forum recordings and feedback surveys are ready for review. Each of the four candidates met with various campus constituents including the Registrar’s Office, faculty and staff, students, administrators, deans, faculty senate and more. Each candidate also provided an open forum presentation on: “What is the role of the Registrar both within the larger academic enterprise of a University and in the specific context of strategic enrollment management?” CV’s and letters of interest are accessible by choosing a candidate’s name below along with recordings and feedback surveys. The feedback survey and recorded open forums for the University Registrar candidates are live. They will close at 2:00pm on Wednesday, November 28th, 2018. Details on the University Registrar position can be found here. November 19, 2018—SATELLITE LAUNCH WAS CENCELLED DUE TO WEATHER AND WILL BE RESCHEDULED AT A LATER DATE UNCW professor John M. Morrison’s nanosatellite, SeaHawk-1, is ready for launch. Spaceflight, a mission management provider, anticipates launching SeaHawk-1 as part of a rideshare mission from Vandenberg Air Force Base in California. A satellite launch livestream viewing event will take place Monday, Nov. 19 from 1-2 p.m. in the Fisher Student Center. Light refreshments will be provided. All are welcome to attend. 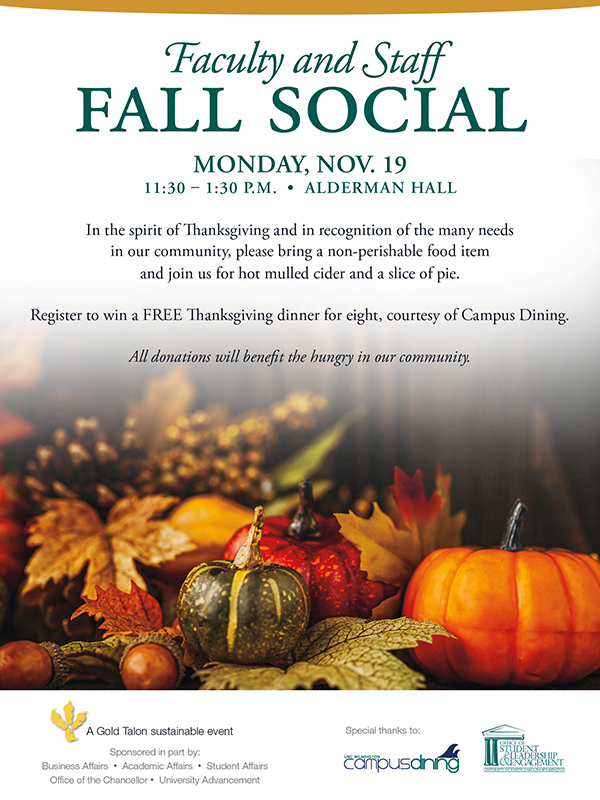 October 31, 2018—In the spirit of Thanksgiving, the administrative team in Alderman Hall invites all faculty and staff to stop in on Monday, November 19 between 11:30 a.m. and 1:30 p.m. for a slice of pie in exchange for a non-perishable food donation. This is the third annual event that netted over 34 bags of food for a local charity last year. Campus Dining will again donate a Thanksgiving dinner for eight and the Office of Student Leadership and Engagement will assist in gathering and distributing the food donations. Click here for the invitation. October 1, 2018—The Office of Academic Affairs announced today its plan for making up missed instructional minutes due to campus closing during Hurricane Florence. The plan is based on the cancellation of Fall Break and Reading Day along with adjusted class start and finish times. Click here for details. August 31, 2018—UNCW student and U.S. Marine veteran, Jay Richardson, was selected as one of 100 students from among 3,000 chapters of the Student Veterans of America to attend the SVA Leadership Institute this month in Washington, DC. “Jay is a passionate leader who inspires individuals, teams, and communities,” said Bill Kawczynski, Director of UNCW’s Office of Military Affairs. “He is an analytical and strategic problem solver with a proven track record of innovation, event planning and program development,” Kawczynski continued. Richardson is currently a third year Computer Information Technology major with a minor in Cybersecurity. He currently serves as the UNCW Student Veterans Organization Vice-president, the Cyber Defense Competition Team Captain, and is the Cyber Defense Club Secretary. “I am honored to have been selected and SVA’s Leadership Institute is the premier foundational leadership experience in the country for student veterans," commented Richardson. The institute brings together the nation’s high-achieving Chapter Leaders for a multi-day, values based, leadership immersion program. President George W. Bush was a guest teacher at last year’s Leadership Institute. The 2018 Student Veterans of America Leadership Institute is sponsored by Prudential and will take place at the U.S. Chamber of Commerce September 20-23. August 13, 2018-The Travel Grant Application to attend the 2018 SACSCOC Annual Meeting in New Orleans is now available. The application can be found on the SACSCOC website at http://www.sacscoc.org/aamain.asp. Students who are pursuing a graduate degree at an institution located within SACSCOC’s 11-state region may apply. A UNCW Watson College of Education doctoral student won this grant last year. The deadline for the application is September 14, 2018. If you have any questions, please contact us at annmtg@sacscoc.org. June 27, 2018-Undergraduate Studies and the Honors College would like to take this opportunity to thank Dr. Jennifer Horan for her four years of dedicated service as the Associate Director of the Honors College, as she prepares to return to full-time teaching in the Department of Public and International Affairs (effective July 1 ). Dr. Horan has worked tirelessly to shape the experience of UNCW’s Honors students and to strengthen that program in a period of growth and change, and her efforts are much appreciated. We are pleased to announce that Dr. Kate Bruce, our retreating Director, will serve through the end of the Fall semester as interim Associate Director. The Honors College will search for Dr. Horan’s replacement this Fall. June 11, 2018--ON BEHALF OF PROVOST MARILYN SHEERER I am happy to announce that we have concluded our search process for the interim positions of Graduate Dean and Associate Provost for Research. Dr. Carol McNulty and Dr. Stuart Borrett, respectively, will begin their new roles July 1, pending final approval from the UNC System Office. Dr. McNulty joined the Watson College of Education as an assistant professor in 2006. In 2012, she was named the Associate Dean for Academic and Student Affairs. As Interim Graduate Dean, Carol will maintain oversight of all academic and fiscal responsibilities for the Graduate School, and will set the school’s priorities while working toward fundraising goals, facilities management, space allocation, and the development of new special-use facilities. Carol holds a doctor of philosophy in elementary education from the University of Georgia in Athens, GA; an M.Ed. in early childhood education from Mercer University in Atlanta, GA; and a bachelor’s degree with a double major in elementary education and psychology from the University of North Carolina Chapel Hill. Dr. Borrett joined UNCW in 2007 as an assistant professor in the Department of Biology and Marine Biology. During his tenure, he has served as an Honors College faculty fellow, a leadership development fellow and a dean’s faculty fellow, working to strengthen the university’s community and culture. In his new role at UNCW, Stuart will act as the chief research officer, assisting the university leadership in developing, coordinating, maintaining and growing research activities. He will also manage the Center for Innovation and Entrepreneurship and CREST. 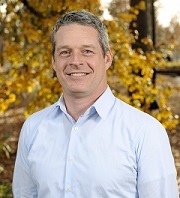 Stuart holds a Ph.D. in ecology from the University of Georgia in Athens, GA; and a bachelor’s degree in biology from Austin College in Sherman, TX. Please join me in congratulating them on their new roles, and in thanking Dr. Ron Vetter for his leadership and service as the Associate Provost for Research and Dean of the Graduate School. Carol and Stuart are taking the helm of strong programs that reached new levels of efficiency, effectiveness and community engagement under Ron’s guidance. June 11, 2018--The Office of Institutional Research and Planning welcomes Dr. Kelly Charles (charlesk@uncw.edu) as the new Director of Institutional Effectiveness. She began at UNCW on May 14, 2018 and brings a wealth of experience in assessment and accreditation to campus. Reporting to Dr. Andy Mauk, Associate Provost for IRP, Kelly will have oversight responsibility for the systematic, explicit, and documented process of measuring performance against the institutional mission, and working collaboratively to provide the best evidence of UNCW’s commitment to continuous improvement. Initiatives in her portfolio including the coordination and administration of the Taskstream AMS software for assessment documentation, Faculty/Course Evaluations (IDEA), Faculty Productivity Monitoring (Digital Measures), and the collaborative monitoring of various UNCW rankings and recognitions. Prior to this role, Kelly served as the Director of Program Evaluation and Accreditation at Coastal Carolina University in Myrtle Beach SC, had numerous administrative appointments related to student success, outcomes assessment and accreditation in higher education, and earned tenure as an Associate Professor in the School of Education at Fayetteville State University. She hold a PhD in Higher Education Administration from Morgan State University in Baltimore MD, master’s degrees in both School Administration and PK-12 Teaching, and a bachelor’s degree in Special Education. She has been recognized for teaching excellence and research, and received specialized training in accreditation, leadership and leading transformation and change from: the University of North Carolina BRIDGESprogram; the Council for the Accreditation of Educator Preparation; The American Society for Quality; and the American Council on Education. Please join us in welcoming Kelly to campus. May 16, 2018--Associate Vice Chancellor for Distance Education Candidates to visit campus beginning Monday, May 21st. Over the course of the last several weeks, the search committee for the position has been working diligently to select the best candidates to visit our beautiful campus. Candidates are listed below. To view their credentials, you will be required to enter your UNCW ID and password. Recordings for scheduled open forums will be available shortly following the final candidate's presentation. A survey will open for each candidate for all across campus to provide feedback to the search committee. *The dates & times link to the recording. **The locations link to the survey. presentation on: “What is the current state of undergraduate honors in higher education and what is your vision for the future for the UNCW Honors College?” CV’s and letters of interest are accessible by choosing a candidate’s name below. Thursday, April 19, 1-2 p.m.
Monday, April 23, 1:30-2:30 p.m.
Thursday, April 26, 1:30-2:30 p.m.
Tuesday, May 1, 1:30-2:30 p.m. The feedback survey and recorded open forums are currently live and survey will close at 5 p.m. on May 6, 2018. April 1, 2018--As many of you know, we are implementing a curricular change management system (Curriculog) for curricular changes for the '19-'20 catalog and next year's curricular change cycle. Please see the memo in regards to further information about this process. 21st Century University Library.' CV's and letters of interest are accessible by choosing a candidate's name below. Lucy Holman Monday, April 9, time 1:30-2:30 p.m.
March 15, 2018--The Spring Faculty Meeting, scheduled for Wednesday, April 4, will feature faculty award recipients and honor retiring faculty. Agenda and presentation can be found here. 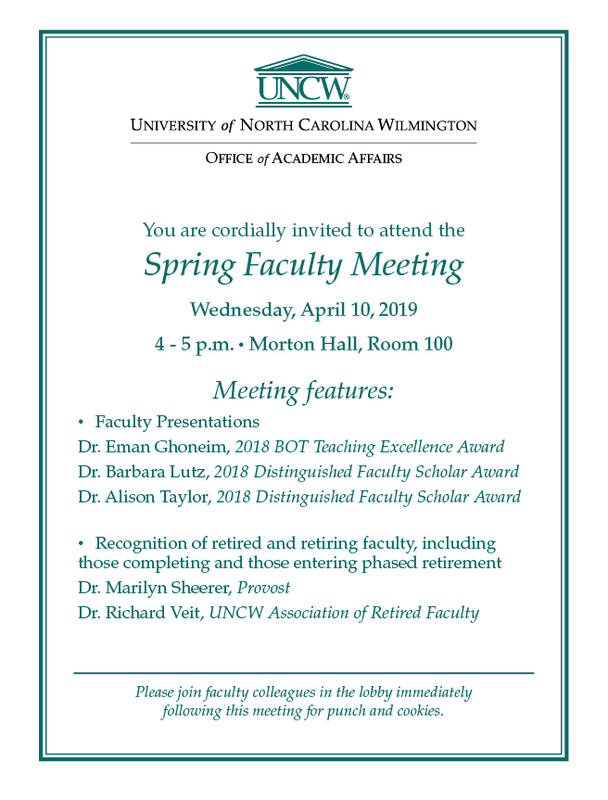 Provost Marilyn Sheerer will host the meeting with Dr. Douglas Smith, UNCW Association of Retired Faculty, recognizing retired and retiring faculty, including those completing and those entering phased retirement. Punch and cookies will be provided for attendees. March 8, 2018--Three candidates for the Vice Chancellor for Business Affairs will visit the campus of UNCW for interviews between March 15-19. Each candidate will present at an open forum from 2-3 p.m. during their visits on the dates listed below. CV's and letters of interest will be accessible by choosing a candidate's name (sign-in required) one day in advance. *Feedback surveys are now available for a limited time. February 16, 2018-It is with some sadness and a deep sense of appreciation and respect for her nineteen years of service to UNCW’s Honors College that I announce Dr. Kate Bruce is to step down as the Honors College Director and will return full time to the Psychology faculty at the end of the academic year. Under Dr. Bruce’s careful, thoughtful and effective leadership, UNCW’s Honors College has grown in size and quality to become a model program that has earned national respect. 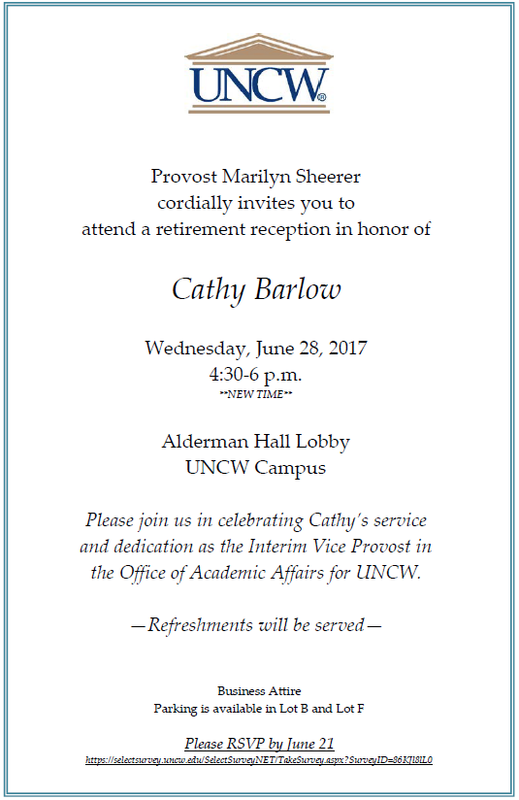 Dr. Bruce’s wisdom, her dedication to community building, her collaborative spirit, and her tireless efforts on behalf of students will all be missed even as Honors at UNCW continues to grow and thrive, thanks in large part to the legacy of her leadership. There will be opportunities in the coming months to mark her transition appropriately and to thank her for her past, present (and future, we hope!) efforts on behalf of Honors and UNCW. The Chancellor, along with Undergraduate Studies and Academic Affairs, meanwhile, has launched a national search for her replacement, who will have big shoes to fill! We do encourage faculty who have an interest in the program and the position to consider applying; we know there is a proud tradition of service to Honors, and I have been very impressed during my time at UNCW by the strength of faculty and staff commitment and service to our Honors College and its amazing students. Provost Sheerer and Vice Chancellor Stuart, co-chairs of the on-going search for the Vice Chancellor of Business Affairs will welcome three finalists to campus for interviews. Campus visits are currently scheduled for November 29th, December 1st and December 5th. Each candidate will present at an open forum from 2:00-3:00 p.m. on their respective visit. More details to follow. Dr. Alissa Warters comes to us from Francis Marion University in South Carolina as Fellow of the American Council on Education (ACE). She will spend 12-non consecutive weeks working closely with the Provost and Chancellor on several projects. Dr. Warters was appointed Associate Provost for Academic Affairs and Enrollment Management at Francis Marion University in Florence, South Carolina in June 2016. During the 2015-2016 academic year, Dr. Warters served as the Associate Provost for Academic Affairs and Director of Graduate Programs. Dr. Warters served from 2009-2017 as the founding director of the Robert E. McNair Center for Research and Service, Francis Marion University’s public policy center. Dr. Warters has been a member of the faculty at Francis Marion University for 13 years, rising to the rank of full professor of political science in 2015. In addition to her service to the Political Science Department, she served on the faculty senate for six years and the Academic Affairs Committee for three years. Her dedication to shared governance was acknowledged by her peers when she was awarded the Francis Marion University Shared Governance Award in 2013. Dr. Warters was also awarded the Outstanding Service Award in 2008 and the Outstanding Teaching Award in 2013. Her research on first ladies and presidential children has been published in leading political science journals. Dr. Warters received her Doctorate of Philosophy in Political Science from the University of Tennessee, Knoxville in 2004, a Master of Political Science from Virginia Tech in 1998, and a Bachelor of Arts in Political Science from Virginia Tech in 1996. In addition to the ACE Fellows Program, she has participated in several other professional education programs, including the Management Development Program at Harvard University. Ms. Kristen Brogdon will serve as interim AVC for community engagement, in addition to her role as director of the office of the arts. Kristen will be coordinating the engagement efforts of the university and managing several community-facing units including OLLI, QENO, Continuing Professional Education and Summer School. Kristen has a natural connection with this area since the University’s Office of the Arts continues to serve as a cornerstone to the university’s engagement efforts. A major objective of Kristen’s role will include improving assessment of and communication about university engagement efforts as a whole. July 10, 2017 Dr. Lori Messinger will spend the 2017-2018 academic year as an ACE Fellow at Virginia Commonwealth University (VCU) in Richmond, VA. VCU is a large, urban public research university that includes a comprehensive medical center and serves over 31,000 racially and culturally diverse students. The American Council on Education Fellows Program is a customized learning experience that enables participants to immerse themselves in the culture, policies, and decision-making processes of another institution. The ACE Fellows Program helps ensure that higher education’s future leaders are ready to take on real-world challenges and serve the capacity-building needs of their home institutions. Wednesday, May 3, 2017 Dear Colleagues: Following a national search, I’m pleased to announce Richard Ogle will assume the role of Senior Associate Provost for Academic Affairs, effective July 1. In this newly configured position, he will oversee enrollment management in the areas of the Office of the Registrar, the Office of Scholarships and Financial Aid, the Office of Admissions, Randall Library and the Center for Teaching Excellence/Center for Faculty Leadership. In addition, he will work closely with deans, vice chancellors and other university leaders to provide leadership and coordination to accomplish the strategic goals of Academic Affairs within the university’s Strategic Plan. Since he arrived on our campus in 2002 as a faculty member in the psychology department, Rich has garnered an impressive record of research, teaching and service. In addition to serving in a variety of administrative roles, most recently as Associate Dean for Faculty Policy and Enrollment Management for the UNCW College of Arts and Sciences, he has been honored with the Graduate Mentor (2014), Distinguished Teaching Professorship (2011) and the Chancellor’s Teaching Excellence Award (2008). As chair of the psychology department, he initiated and facilitated the department’s first formal strategic plan in 20 years. Worth noting, Rich was a charter member of the program development committee for the approval of a doctoral program in psychology. He worked with no fewer than four chancellors, four provosts, five deans, the state psychological association, lobbyists, the UNCW Board of Trustees and the UNC System Board of Governors to finally see the program approved in 2015. I think you all will agree with me that, in Rich, we have an engaged and collaborative individual whose wealth of academic and administrative experience, insightful interpersonal skills, great sense of humor and strong commitment to shared governance will bring added depth to Academic Affairs. Please join me in welcoming him to this new role. May 2, 2017 The office of the Provost of Academic Affairs invites campus to congratulate Melinda J. Anderson who has been named Associate Dean for Undergraduate Studies. Melinda’s new role expands her responsibilities and reflects University College’s integral involvement in student success initiatives focused on retention, advising and academic student support within Undergraduate Studies and across UNCW. She will also continue to lead University College, a position she has held since arriving at UNCW in 2015. The office of the Provost of Academic Affairs welcomes four candidates to campus. The search for a Senior Associate Provost for Academic Affairs has resulted in the selection of four candidates to visit campus in the coming weeks. Their visits included an open forum. Each Candidate's CV is linked. *Recordings are password protected and should be viewed in Internet Explorer or Mozilla FireFox web browsers. The Instructional Designer search has resulted in the selection of a final candidate to visit campus on April 20th. The visit will include an open forum which all of campus is invited to attend. Details are listed below. The Candidate's CV is linked and a survey to provide feedback will be available on the date of the candidate visit. As the University of North Carolina Wilmington continues to grow and change, one constant remains: excellence. To maintain that excellence we need to continually be identifying opportunities to examine processes that contribute to such achievement and adapt to the ever-changing university landscape. For example, if communication needs to be improved between units within the university, we want to bring the latest tools and techniques available to design better ways to communicate. In doing so, it is important to simultaneously maintain flexibility to ensure new approaches can be incorporated as conditions change and to be ‘user friendly’ to those who have to work within the system. These processes need to be efficient and effective. The Process Improvement Initiative (PII) Task Force was formed with the purpose of improving and enhancing the various academic and business processes in the academic units and at the university level. Our goal is to make the processes efficient – minimizing the resources used; making the processes effective – producing the desired results; and facilitating successful implementation; and adapting to changing needs. The Process Improvement Initiative (PII) Task Force has developed the Process Improvement Request form and solicits requests from the various units’ staff, chairs, directors, and deans. Subsequently, the task force will prioritize and choose several issues to address. We hope you will join us in this initiative as we continue to strive for excellence. The Associate Provost for Institutional Research and Planning search has resulted in the selection of three candidates to visit campus in the coming weeks. Their visits will include an open forum. All of campus is welcome to attend. Details are listed below. Each candidate's CV is linked and a survey to provide feedback will be available following each candidate's visit. The Instructional Designer search has resulted in the selection of four candidates to visit campus in the coming weeks. Their visits will include an open forum which all of campus is invited to attend. Details are listed below. Each Candidate's CV is linked and a recording of the forum along with a survey to provide feedback will follow. This message is issued on behalf of the Executive Committee on Space: Marilyn Sheerer, Provost; Rick Whitfield, Vice Chancellor for Business Affairs; and Pat Leonard, Vice Chancellor for Student Affairs. Establish the Space Planning and Allocation committee. This committee will be charged with establishing policy and procedures regarding space allocation and utilization, reviewing physical space requests, and providing recommendations to the Executive Committee and Chancellor. This committee is already functioning under the direction of the Space Planning and Management unit in the Office of Institutional Planning, Analytics and Effectiveness. Establish the Space Scheduling and Use committee, which will be charged with review of the facilities use policy and procedures documents, reviewing non-academic course scheduling functions and considering facilities use waivers. Future EMS implementation efforts in conjunction with ITS partners. In this role, the Department of Campus Life will work closely with all campus space schedulers to coordinate and optimize use of the university’s new unlimited seat contract for the EMS space scheduling system. The goal is to provide the most efficient, uniform experience for internal and external users. The Campus Reservation System (Virtual EMS) will undergo a major upgrade in the coming year. The current Campus Reservation System, powered by Virtual EMS, will move to a new EMS web application. The EMS web app is designed to be a responsive web application with better compatibility via mobile devices. In addition, those schedulers who are using Virtual EMS to schedule space will migrate to the EMS desktop client. All campus schedulers will be contacted to arrange training for this migration which will be available to campus users in June 2017. Inventory of available meeting and programming spaces throughout campus including capacity and audio-visual equipment capabilities. The Executive Committee on Space will vet the inclusion of these spaces in the EMS scheduling system. Upgrades of the EMS system to the EMS web app, which will include a mobile-friendly version of the online reservation platform and the transition to electronic submission of campus space requests. Assessment efforts by Campus Life staff to determine the current and future needs related to non-academic course space scheduling efforts on campus. Development of training timelines and schedules for campus space schedulers and space users. As the evaluation and planning for these coordination efforts begin, campus space schedulers and users should follow currently established procedures associated with requesting and scheduling space for non-academic course meetings and events throughout campus. Additional communication regarding specific implementation and training dates associated with EMS space scheduling will be forthcoming as plans develop. If you have any questions regarding EMS space scheduling efforts, contact Larry Wray, executive director of Campus Life, at wrayl@uncw.edu or 910.962.3285. Thank you for your support and assistance as we continue to improve the management, utilization and scheduling of campus space. On Friday, November 11th, UNCW will hold its annual Veterans Day Ceremony at the Amphitheater beginning at 10:45 a.m. and will conclude at 11:30 a.m. Please come out to support and honor all veterans here at UNCW and around the world. The formal Ceremony will be the conclusion of events over the preceding 10 days that recognize and provide a history and significance of veterans and the military here at UNCW. In the event of rain, the Ceremony will be moved into the Warwick Center. For more information, please contact the Military Resource Lounge at (910) 962-2933. Wednesday, November 2, 2016 The office of Academic Affairs is pleased to announce the appointment of Dr. Peter V. Nguyen as the 2017 Faculty Associate. The appointment is effective January 1, 2017 and is expected to continue through summer 2017. The Faculty Associate program provides an opportunity for professional and leadership development among UNCW faculty members by enhancing the participants’ knowledge of and skills in academic administration. The appointee will work with Provost and Academic Affairs administrative staff on a part-time basis as a learner, observer, and participant, making contributions primarily in academic affairs. As part of the appointment, the Faculty Associate will work on one or more projects that respond to needs within the division and align with that individual’s strengths and interests. Dr. Nguyen, a tenured professor in the School of Social Work and MSW Program Coordinator, earned a B.A. in biology from the University of Texas, Austin and an MSW and Ph.D. in social work from The University of Houston. Prior to coming to UNCW, Dr. Nguyen was a tenured associate professor in the Virginia Commonwealth University School of Social Work. His current duties include recruiting and advising students and maintaining curriculum integrity. He has also worked to recruit more minority students, market the school to out-of-state students, and explore more dual degree options for social work students. He chairs the CHHS Globalization, Culture, and Diversity Committee and serves on the Faculty Senate Budget Committee. The Academic Affairs staff looks forward to Dr. Nguyen’s contributions, and we hope that you will join us in welcoming him to his new role. Monday, October 31, 2016 The office of Academic Affairs announced Fred Holding the Director for the Office of Scholarships and Financial Aid, effective on November 1st. Fred brings with him 20 years of experience from the areas of residence life, student accounts, registration and athletics. He will be responsible for the overall management and administration of all student financial aid and institutional scholarships. In Mr. Holding's time as Interim Director, he successfully led the office through an audit, made significant improvements to the internal and external service process, initiated a Customer Service Training Plan and spearheaded the development of online high school outreach efforts and social media presence. Fred is also a First-Year Seminar instructor at UNCW and member of the National Association of Student Financial Aid Administrators and the North Carolina Association of Student Financial Aid Administrators. As the interim associate provost of Institutional Research and Planning (IRP), Mauk will report to Provost Marilyn Sheerer and direct the university’s data collection, reporting and analysis functions and oversee internal and external reporting. In addition, the office will also house space planning and work closely with the Chancellor’s office on strategic planning. For the past five years, Mauk has served as the director of the Office of Student Affairs Assessment, Research and Planning. In this role, he has demonstrated a high degree of collaboration across campus working with departments on their assessment and research needs. Prior to joining UNCW, he worked in the Office of the Vice President for Student Affairs at Florida State University and served as the associate director of the Multicultural Center at the University of Arkansas. He earned both a Ph.D. in higher education and a certificate in Institutional Research from FSU. He teaches assessment, evaluation, and strategic planning courses in the Watson College of Education and an online institutional research course at FSU. His university memberships include the University's Learning Assessment Council, UNCW Strategic Planning Committee, Chancellor’s Leadership Council and chair of the Student Affairs Strategic Planning Committee. On the national level, he is the current co-chair elect of the NASPA Assessment, Evaluation, and Research Knowledge Committee. The Director of Scholarships and Financial Aid position search has resulted in the selection of three candidates to visit campus in the coming weeks. Their visits to campus will include an open forum. All of campus is welcome to attend. Details are listed below. Each Candidate's CV is linked and a recording of the forum along with a survey to provide feedback will follow. August 2, 2016-The Office of Academic Affairs will be hosting the inaugural reception for the UNCW Women in Higher Education on Wednesday, September 14th at 5 o'clock in the evening. The event will take place in Burney Center, ballroom A. If you plan to attend please complete the RSVP by Friday, September 9th. April 6, 2016-Good Morning, Colleagues! Wow! Day two of CHHS Health & Human Services Week was a great success! We welcomed 175 participants to the events taking place yesterday! As you will see from the attached picture, I even got in on some of the fun offered at yesterday's Aikido session. Thanks to SHAHS Faculty John Lothes for facilitating this great outdoor activity! Our schedule of events for today is our busiest yet! We have six events taking place today that represent each of our three schools, so there is something to choose from for everyone! And even though the warm Spring weather is playing a game of hide and seek with us today, we won't let that stop us from enjoying our Campus Walk at 11:30 a.m. Please join me and our more than 70 special guests from Pine Valley Elementary School on the front lawn of McNeill Hall at 11:30 a.m for a 1.65 mile walk through campus! I hope that you will join me in welcoming our young guests to campus as we celebrate outdoor activity and wellness. A full listing of the week's schedule of events is available. See you today! February 19, 2016-Please complete the following online and anonymous surveys by Wednesday February 24 at 5:00 p.m. for two internal candidates who interviewed on campus this week for the Associate Vice Chancellor and Dean of Undergraduate Studies position. Recording of each candidate's open forum presentation will be available Monday, February 22nd. Thank you in advance for your feedback. February 15, 2016-Two internal candidates for the Associate Vice Chancellor and Dean of Undergraduate Studies will present at open forums this week beginning Wednesday, February 17th. Each candidate's letter of interest and CV can be found on the table below and recordings of each presentation will be available Monday, February 22nd. An announcement will go out following the Open Forums requesting feedback on each candidate with a deadline of 5:00 p.m. on Wednesday, February 24th. This search began in late January. January 27, 2016-Feedback is requested on the three candidates for the Associate Vice Chancellor of Distance Education by February 8, 2016. The candidate open forum dates and feedback forms are available below. Select the candidate's name and you will be directed to the feedback form. For additional information, CV's, or access to the recorded open forums, please contact Dr. Martin Posey, poseym@uncw.edu, Search Committee Chair. January 25, 2016-The Office of Academic Affairs announced today that the internal search for an Associate Vice Chancellor and Dean of Undergraduate Studies has begun. A complete job description, including qualifications and application information can be found here. This position provides leadership for the campus' engagement in undergraduate education and oversees the operations and activities of; ETEAL, the University's Quality Enhancement Plan; General Education Assessment; Honors Scholars College and the Center for the Support of Undergraduate Research and Fellowships (CSURF); and University Studies. Responsibilities include overseeing activities pertaining to undergraduate education, providing advocacy on undergraduate academic matters; facilitating the development of new and revised undergraduate courses and curricula; reviewing undergraduate curricular action items; working with faculty and administrators on academic planning and policy development pertaining to undergraduate education; promoting applied learning; overseeing the publication of the UNCW undergraduate catalogue; overseeing IDEA (the faculty course evaluation system); collaborating with University College in establishing and implementing learning goals for UNI101; and coordinating the administration of for-credit undergraduate courses and programs in collaboration with the deans of UNCW's colleges and school. This position reports to the Provost of UNCW and works collaboratively with the Vice Provost, the deans, and other direct reports. He/she works collegially with faculty in curriculum planning for each of the areas he/she represents. This Associate Vice Chancellor and Dean meets regularly with the administrative team to plan and inform the academic direction of the University. One of the main goals is to assist in providing opportunities that enhance the overall undergraduate experience and help prepare students for life after graduation. Please provide letter of interest and curriculum vita by Monday, February 8, 2016 to Cathy Barlow barlowc@uncw.edu. For further information, please call (910) 962-3137. January 20, 2016-To raise community awareness about Science, Technology, Engineering, and Math (STEM), and to showcase campus involvement in STEM activities, a campus-wide STEM Expo is scheduled on April 8, 2016. Faculty, students, and staff will host hands-on learning stations for families from across the region. The event,which is free and open to the public, will help promote UNCW's programs.The UNCW STEM Expo is our campus commitment as part of the UNC System to support the North Carolina Science Festival taking place from April 8-24. To identify ways you and your unit could participate in this event, we are asking you to take a few minutes to complete this brief online survey by Friday, January 29th (if link does not load properly, copy and paste the following address https://uncwyouthprograms.wufoo.com/forms/2016-uncw-stem-expo/ ). Your participation and input are greatly appreciated.For further information or questions contact kezioss@uncw.edu. January 8, 2016-The search committee for the Associate Vice Chancellor of Distance Education will host three candidates for this position beginning January 28th. Following are the scheduled open forums for faculty, staff, and students to meet and greet the candidates. During this time, each candidate will provide a presentation on 'Enhancing Distance Education at UNCW' with a question and answer session following..
For additional information or complete itineraries, please contact Dr. Martin Posey, poseym@uncw.edu, Search Committee Chair. November 30, 2015-Academic Affairs is pleased to announce that Diana Ashe has been selected as the director of the Centers for CTE/CFL, effective January 1, 2016. Dr. Ashe, an associate professor of English, served as associate director of CTE/CFL from 2011-14 and has served as interim director since July 2014. Under her leadership fifty-four new faculty members, seventy-five graduate assistants, and eight new department chairs had the opportunity to participate in orientation. Leadership training was provided to 150 faculty members through Policy Camp, Mentoring Camp, Chairs meetings, BRIDGES, Faculty Senate committee chairs training, and other programs. In addition, three conferences were facilitated, 21 teaching and leadership-related workshops involving 363 faculty members were conducted, and CTE/CFL hosted 18 book circles for 293 faculty and staff members. Dr. Ashe received her PhD in English with a concentration in Discourse Studies from Texas A&M University in 1999 and came to UNCW in 2000. She has received numerous awards and recognitions for her teaching contributions at UNCW, including the Board of Trustees Teaching Excellence Award (2011), the Distinguished Teaching Professorship (2011), the Chancellor's Teaching Excellence Award (2010), the Department of English Faculty Excellence in Teaching Award (2004), and the Information Technology Innovations Award (2005). She continues to have vision for what the centers can do and has already expanded the scope of offerings this fall. We appreciate her past contributions to the Centers and look forward to those yet to come. The Office of Academic Affairs was also pleased to announce that Matt TenHuisen was named as the new associate director of the centers effective January 1, 2016. He has been very active with the Centers through learning best practices as a leader, discussions and consultations with experts in leadership, collaborations to begin book groups, access to resources, and participation in workshops, to name only a few activities. Dr. Tenhuisen received his Ph.D. in Mathematics from Clemson University with a concentration in Operations Research. Since coming to UNCW in 1993 he has served as a department chair (2007-2015), Math Lab Director (2004-2007), and Assistant Department Chair (1999-2003 and 2004-2007). In addition, he received the General College Advisor of the Year Award for 2002-2003, was nominated for the Chancellor's Teaching Excellence Award, and has been recognized as a "Favorite Faculty" and by graduating seniors as one who has had a significant impact on them. In his "Statement of Interest" in applying for the position, he says "Serving as Associate Director of the Center for Teaching Excellence and Center for Faculty Leadership would provide me with a phenomenal opportunity to help others at UNCW be successful in their pursuits while simultaneously fulfilling mine." We are excited about the skills and passion Matt will bring to this position. This meeting will be a chance to discuss potential interests and can inform whether or not this is something people want to pursue given all their other obligations. We will: 1) determine if there is interest in such a group; 2) if so, what are some of the major aspects people may want to pursue; and 3) if we want to pursue this, identify a steering group who can take a lead in making this happen. Undergraduate Studies and the Graduate School / Office of Research can provide some logistical support moving forward, but this is only worth pursuing if there is significant faculty interest and it can be of real assistance. For more information, contact Martin Posey at poseym@uncw.edu. For further information, contact Kimberley Cheatham at cheathamk@uncw.edu or x. 2-3478. October 29, 2015-November 10 is the last day for submissions for the Academic Affairs Fellowship Program. The University of North Carolina System's Division of Academic Affairs, in collaboration with the Faculty Assembly, proposes the development of a faculty fellows program to engage interested faculty in academic affairs issues and mentored learning opportunities while tapping individual expertise to assist the UNC General Administration (GA) and constituent institutions. The program seeks to identify faculty members who have the potential for effective leadership. Fellows will also have the chance to become familiar with other General Administration initiatives as well as current challenges for public higher education at the state and national levels. Fellows will assume responsibility for special projects and will participate in ongoing routine activities in the Division of Academic Affairs. The overarching goals of the program for fellows include enhancing understanding of the complex landscape of public higher education, understanding the context for system-level decision making, and contributing to system-wide activities and initiatives in service to the constituent institutions. See the complete announcement for further information. October 22, 2015-The search committee for the Associate Vice Chancellor of International Programs will host two candidates for this position beginning October 26th. Following are the scheduled open forums for faculty, staff, and students to meet and greet the candidates. During this time, each candidate will provide a 20-minute presentation on 'Preparations and adjustments needed for a university to support a significantly larger international student population' and light refreshments will be available. Other opportunities to meet with the candidates are available and for additional information or complete itineraries, please contact Raymond Burt, burtr@uncw.edu . August 21, 2015-The Fall Faculty Meeting will be held Thursday, September 10 in the Education Building, Room 162 at 2:00 p.m.
**UPDATED August 24, 2015-Academic Affairs would like to invite our campus community to apply for one of two positions: Director of the Center for Teaching Excellence and Faculty Leadership (CTE/FL); and Associate Director of the CTE/FL. This is an on-campus search with a desire to select exemplary personnel to lead the faculty efforts in each of the centers. The effective date of these appointments has been moved to the Spring semester. Applications will continue to be accepted until the positions are filled.. We look forward to excellent faculty being interested in these two positions. July 1, 2015-The search committee for the Assistant Provost for the Office of Institutional Research and Assessment will host three candidates for this position beginning July 5th. Following are the scheduled open forums for faculty, staff, and students to meet and greet the candidates. During this time, each candidate will provide a 20-minute presentation on 'Institutional Research and Assessment's Role in Strategic Planning' and light refreshments will be available. Other opportunities to meet with the candidates are available and for additional information or complete itineraries, please contact Paula Cameron, cameronp@uncw.edu . 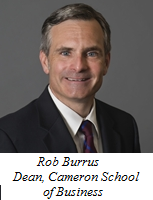 June 3, 2015-Robert T. Burrus Jr. has been named the next dean of the University of North Carolina Wilmington's Cameron School of Business (CSB) after a national search, the university announced today. Burrus, who has been serving as interim dean of CSB since June 1, 2014, will assume his new role on July 1, 2015. "We had an excellent pool of candidates thanks to the reputation of the Cameron School of Business and UNCW," said Charles Hardy, search committee chair and dean of UNCW's College of Health and Human Services. "Rob is a proven leader who is dedicated to our students and has great vision for Cameron. His outstanding academic credentials and experience as a faculty member and administrator will help the school reach new heights in our community and beyond." As interim dean, Burrus oversaw the Cameron School of Business's reaccreditation from the Association to Advance Collegiate Schools of Business. This accreditation is the hallmark of excellence in business education, and has been earned by less than 5 percent of the world's business programs. "It is an honor to be named the dean of the Cameron School of Business, which has outstanding faculty and staff and a highly competitive group of students," said Burrus. "Our goal is to continue developing our existing programs while considering additional ones that will be of great value to our students and business community. As we strive for excellence, I look forward to working with alumni and friends of the Cameron School while developing new and existing partnerships." Throughout his tenure, Burrus has published more than two dozen peer-reviewed journal articles and book chapters. He was also the recipient of UNCW's Chancellor's Teaching Excellence Award in 2004. He serves as editor of the Academy of Economics and Finance Journal and has served as president of the Academy of Economics and Finance and as a manuscript reviewer for multiple scholarly journals in his discipline. As dean, Burrus will be an advocate for CSB's needs through continued leadership and vision. He will serve as the chief fundraiser for CSB and is responsible for setting the standard for intellectual engagement, supporting and mentoring faculty, and encouraging collaboration across departments with the school and UNCW. Burrus joined the UNCW faculty in 1998. Prior to serving as interim dean, he was a professor, associate dean of undergraduate studies and the chair of the Department of Economics and Finance. Burrus earned a Ph.D. and a M.A. in economics from the University of Virginia and a B.S. in mathematical economics from Wake Forest University. The CSB currently enrolls approximately 2,000 undergraduate students in three degree programs and 200 graduate students in four degree programs. The school also houses the prestigious Cameron Executive Network, a group of more than 200 retired and practicing executives that provide one-on-one mentoring for Cameron students. May 29, 2015-The University of North Carolina Wilmington has named Kristen D. Brogdon director of the Office of the Arts after a national search, the university announced today. Brogdon will assume the role on July 1, 2015, but will begin transitioning into the position as the office's part-time director on June 1. "Kristen's background, passion for the arts and enthusiasm to work with the Wilmington community made her an ideal fit as director and at UNCW," said UNCW's incoming Interim Provost Marilyn Sheerer. "We are looking forward to having Kristen join the university and believe her skills align well with what's required of this new role." This new position will oversee all arts programming from UNCW's five academic departments and student-supported units, previously housed under Academic Affairs and Student Affairs. As director, Brogdon will be responsible for enhancing the coordination, planning, communications, marketing and public relations of UNCW's regionally focused arts programs, and will work collaboratively with all academic departments and the participating student-supported units. She will be responsible for cultivating innovative partnerships and connections on campus and with key community partners, and will also create and execute fundraising strategies to support the overall work of the Office of the Arts and its programs. "UNCW is a wonderful campus and I'm eager to begin working with students, faculty and staff to help develop creative, educational and high-caliber experiences for a variety of audiences," said Brogdon. "This is an exciting opportunity that will allow UNCW to further engage with our community and create new offerings through collaborations with members in the arts community nationwide." Brogdon's extensive experience includes working as the general manager of Hubbard Street Dance in Chicago overseeing artistic planning, finances, facility functions and the company's cross-disciplinary collaborations; director of dance programming at the John F. Kennedy Center for the Performing Arts in Washington, D.C.; and as the general manager of the Suzanne Farrell Ballet where she was responsible for the operations, creating an administrative structure and curating the first Ballet Across America festival. Brogdon earned a bachelor's of arts in economics and a certificate in the arts from Duke University. She received her master of arts in business from the Bolz Center for Arts Administration at the University of Wisconsin-Madison. May 8, 2015-We are happy to distribute a request for proposals called Student Competencies and Online Learning from UNC General Administration's Office of Learning Technology and Innovation. Proposals submitted under this RFP are due at midnight on May 31, 2015 and the range of awarded project support is $15,000 to $25,000. Funds awarded will be distributed in early fall, FY 15-16. For complete description of the RFP please visit \\uncwweb\www-docs\aa\documents\Announcements\StudentCompetenciesandOnlineLearning.pdf and direect all questions to Dr. Michelle Solér, Director for Competency-Based Education and Assessment, mlsoler@northcarolina.edu. 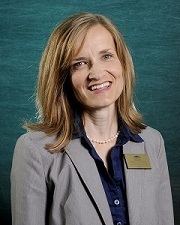 From the Office of the Provost-April 29, 2015-Dear Campus Colleagues, It is with great pleasure that I announce the selection of Dr. Lori Messinger, current director of the UNCW School of Social Work, as UNCW's next Associate Vice Chancellor for External Programs (AVCEP), pending final GA approval. As AVCEP, Dr. Messinger will be a member of Academic Affairs' senior staff, providing leadership, management and support to an array of programs, offices and partnerships that connect the talent and resources of the university to the interests and needs of the broader community. This position will serve as the point of contact for issues related to off-campus academic engagements and will collaborate with numerous on- and off-campus partners. 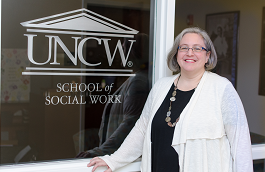 Since her arrival at UNCW in 2011, the School of Social Work has thrived under Dr. Messinger's leadership. The successes during her tenure include an expansion of programming at UNCW's Onslow Extension Campus sites (both the Marine Corps Air Station New River and Coastal Carolina Community College), as well as the initiation of a part-time Master of Social Work (MSW) in fall 2014. An award-winning teacher, Dr. Messinger was the recipient of the 2006 Distinguished Contemporary Contributions in Undergraduate Social Work Award from the Association of Baccalaureate Social Work Program Directors. She has conducted funded research with the American Association of University Professors (AAUP), Lambda Legal, and the North American Case Research Association. She has served on boards, councils and committees with the Council on Social Work Education, the Association of Baccalaureate Program Directors and the North Carolina Chapter of the National Association of Social Workers. She was recognized byWILMAMagazine as the 2014 Woman to Watch in Education. Prior to UNCW, she served as associate professor and director of the BSW program at the University of Kansas School of Social Welfare. She also has held faculty positions at the University of Alabama and North Carolina State University.She holds a bachelor's in philosophy from Douglass College at Rutgers University, a master's in political science from Rutgers University and an MSW and Ph.D. in social work from the University of North Carolina at Chapel Hill. This position is of great importance to the institution, as so many of that position's areas of responsibility align with campus priorities, among them extension programs, distance education, summer sessions and military relations.Dr. 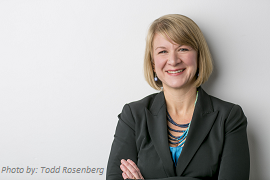 Messinger's candidacy was strongly supported by External Programs' stakeholders, as her past and present faculty and administrative roles have enabled a breadth of directly relevant experiences and provided her with strong credibility on and beyond campus. April 30, 2015-A year-long series of leadership-cultivating workshops concluded on Monday with a timely topic: 'Faculty Evaluations-A Practical Guide' hosted by UNCW's Steve McNamee, a former dean, associate dean, and department chair. Audiences have been diverse and engaged as all topics in the series were selected to enhance the already-existing strengths of department chairs, university directors, and associate deans. Participation rates have ranged from 30-40 largely due to compelling presentations. Both outside and inside experts hosted the workshops. The first, day-long, workshop in August featured Elizabethtown College President Carl Strikwerda and focused on 'Cultivating Academic Leaders'. The November two-part gathering was facilitated by Dr. Kecia Thomas of the University of Georgia and covered the topic of 'Leading a Successful and Diverse Faculty Search.' Dr. Thomas tapped in to our own on-campus authorities who shared their time and expertise as a resource panel in the areas of human resources, legal counsel, and diversity and inclusion. When our own Dr. Rich Ogle took the podium in February, he offered solutions to successfully motivating and engaging faculty through a half-day presentation on 'Moving from "Yes, but…" to "Yes." The Office of Academic Affairs developed the series to advance the university's commitment to providing quality resources and support for UNCW's academic leaders. "The Leadership Workshop series is a tangible expression of our support of the leadership and professional development of individuals in these roles," said Dr. Denise Battles, Provost and Vice Chancellor for Academic Affairs and initiator of the series. "The topics are of fundamental importance to our institution," Dr. Battles continued. April 30, 2015-The search committee for Director of University College will host three candidates for this position beginning May 5th. Following are the scheduled open forums for faculty, staff, and students to meet and greet the candidates. Other opportunities to meet with the candidates will be announced in the coming weeks. For additional information, please contact Carol McNulty, mcnultycp@uncw.edu . **UPDATE** May 1, 2015-Just one info session remains on ADA compliance Thursday, May 7. Be sure to attend this one since light refreshments will be available! The Attention all department chairs, directors, and program coordinators! The American Disabilities Act requires that all courses and materials must be accessible to students with disabilities, including DE courses. Academic Affairs is formulating plans and would like your feedback on how to provide resources to help departments create and maintain compliance in online and hybrid courses. Please plan to attend or send a representative from your department or academic program to the following information session with Interim Associate Vice Chancellor Dr. Cecil Willis and the Office of e-Learning. Resources and future plans will be discussed. Please contact Patricia Gonzalez, Director of e-Learning, (910) 962-7826, gonzalezp@uncw.edu. **REV April 24, 2015-The search committee for Director of Office of the Arts will host three candidates for this position beginning April 27th. Following are the scheduled open forums for faculty, staff, and students to meet and greet the candidates. Other opportunities to meet with the candidates will be announced in the coming weeks. For additional information on, please contact Cecil Willis, willis@uncw.edu . April 20, 2015-As a team of scientists from University of North Carolina Wilmington, Cloudland Instruments of Santa Barbara, CA, Clyde Space of Glasgow, UK, NASA Goddard Space Flight Center, Greenbelt, MD, and Hawk Institute for Space Sciences, Pocomoke City, MD, led by UNCW Professor John M. Morrison, recently received a 2-year grant for $1,675,000 from the Gordon and Betty Moore Foundation as a "proof of concept to demonstrate the capability to construct low-cost autonomous nanosatellites to provide sustained, high spatial resolution and temporal resolution information about the surface ocean processes." The "science dream team" is composed of investigators that have been involved in the forefront of Ocean Color Remote Sensing since its inception 30+ years ago including Alan Holmes (SeaWiFS Sensor Designer and CEO/CTO Cloudland Instruments), Craig Clark, (CEO/CTO for Clyde Space, one of the leading designers of CubeSats, worldwide), Dennis McCartney (ex-NASA Associate Administrators for Earth Science and CTO for Hawk Institute for Space Sciences), and Mary Cleave (Retired), NASA Astronaut, NASA Goddard Project Manager for SeaWiFS; and Associate Administrator, NASA Science Mission Directorate. In a recent report the National Academy of Science (NAS2011) discussed the need for sustaining and advancing ocean color research and operations. This report shows that Ocean color satellites provide a unique vantage point for observing the changing biology in the surface ocean. Space observations have transformed biological oceanography and are critical to advance our knowledge of how such changes affect important elemental cycles, such as the carbon and nitrogen cycles, and how the ocean's biological processes influence the climate system. In addition, ocean color remote sensing allows scientists to assess changes in primary production, which forms the base of the marine food chain. Thus, continuous satellite observation of ocean color is essential to monitoring the health of the marine ecosystem and its ability to sustain important fisheries, especially in a time of global change and acidification. Any interruption in the ocean color record would severely hamper the work of climate scientists, fisheries and coastal resource managers, and an expanding array of other users, from the military to oil spill responders. The goal of this project is to enhance the ability of the earth sciences to observe ocean color in high temporal and spatial resolution modes through the use of a low-cost, next generation, miniature ocean color sensor flown aboard a CubeSat. A CubeSat is a type of nanosatellite with volumes in multiples of 3.0 liter (30cm3), and typically uses commercial off-the-shelf (COTS) components for its electronics. Stanford University's Space Systems Development Laboratory (SSDL) and California Polytechnic State University developed the CubeSat concept to provide standardized, low-cost access to space (http://www.CubeSat.org/). The advantages of CubeSats in terms of development cost and time, and low volume and mass, with respect to larger satellites opens the door for radically new earth observing missions (EO). EO missions traditionally involve large, complex spacecraft with multiple payloads leading to spacecraft having a large price tag. A constellations of EO nanosatellites, by contrast, could provide daily or higher temporal resolution and increased spatial resolution while still being economically viable. The SeaWiFS sensor development took more than 10 years at a construction cost of $14.1 M. Here, we have proposed to develop and construct two SeaHawk CubeSats with HawkEye Ocean Color Sensors in 2-years at a cost of $1.675 M. The final product will be 130 times smaller (10-m × 10-cm × 30-cm), 45 times lighter (approximately 1 kg), with a ground resolution 7 - 15 times better (150 - 75 meters per pixel), while still having a Signal/Noise Ratio approximately 50% that of SeaWiFs. The resulting imagery should be remarkable, with a development time and construction cost of both approximately 10 percent that of SeaWiFS. About the Gordon and Betty Moore Foundation: "The Gordon and Betty Moore Foundation believes in bold ideas that create enduring impact in the areas of science, environmental conservation and patient care. Intel co-founder Gordon and his wife Betty established the foundation to create positive change around the world and at home in the San Francisco Bay Area. Science looks for opportunities to transform-or even create-entire fields by investing in early-stage research, emerging fields and top research scientists. Environmental conservation efforts promote sustainability, protect critical ecological systems and align conservation needs with human development. Patient care focuses on eliminating preventable harms and unnecessary healthcare costs through meaningful engagement of patients and their families in a supportive, redesigned healthcare system. Visit Moore.org or follow @MooreScientific." Funding: This technology demonstration grant for $1,675,000 is funded by the Gordon and Betty Moore Foundation through Grant GBMF4526 to UNCW, Department of Physics and Physical Oceanography and Center for Marine Science. 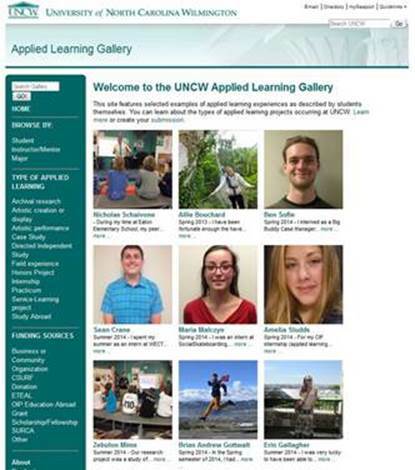 Created in partnership between Undergraduate Studies (ETEAL, Honors / CSURF, OIP, CTE),Randall Library, and theCareer Center,the purpose of this gallery is to highlight exemplary applied learning projects taking place at UNCW. The site features selected examples of applied learning experiences as described by students themselves. It is intended to be a long-term effort that will grow with new additions over the coming years and will include archival capabilities for looking at the great applied learning activities of our students in a searchable database. It is also fully searchable by keyword allowing you to dig deeper into submissions. It has been designed to be mobile-friendly. Students, in addition to providing a comprehensive description of their experience, can upload presentations, images, PDFs and other materials created as part of their applied learning experience through ouronline submission form. Submissions will be reviewed periodically for addition into the gallery based on completeness and quality. Submissions will be solicited through the various department chairs and directors. April 1, 2015-With a deadline of April 10, just days remain for faculty to complete their survey on job satisfaction. To date, over 50 percent of UNCW faculty have completed the survey compared to a national rate of just over 40 percent. 100% of faculty participation is the goal in order to maximize the results and pinpoint areas of interest. Port City Java partnered with Academic Affairs to offer incentive for faculty to complete the COACHE survey. March 27, 2015-Dr. Cara Cilano has been appointed as the Director of University Studies. Dr. Cilano's appointment will begin 15 April, 2015. She is currently a Professor in the Department of English. Dr. Cilano joined UNCW's Department of English in 2001 and became involved with University Studies in 2007. She has received the Chancellor's Teaching Excellence Award, a Distinguished Teaching Professorship Award, the Board of Trustees Teaching Excellence Award, and the Board of Governors Excellence in Teaching Award. Since her arrival at UNCW, Cara has served as the Swansea Faculty Resident Director, as a Visiting Research Associate at the Institute of Islamic Studies at McGill University, and twice as a Fulbright Scholar. In addition to publishing more than a dozen articles and book chapters, Cara is the author of three monographs on Pakistani fiction and the editor of a volume on representations of 9/11. She is currently the Project Director of the three-year International Islamic University Islamabad-UNCW University Partnerships Grant, which is sponsored by the US Department of State.Dr. Cilano joined the Faculty Senate's University Studies Advisory Committee in fall 2007 and, with a break due to research reassignment, remained on the committee until 2013. She was chair of the USAC from 2011-2013. Since fall 2013 she has been on special assignment to Academic Affairs to help with administrative support for University Studies. The Director of University Studies provides leadership and administrative support for University Studies, UNCW's core comprehensive educational experience. The Director works with the Faculty Senate and the University Studies Advisory Committee, colleges and schools, University College, Center for Teaching Excellence, and other constituents to help administer the University Studies program and maintain and enhance that curriculum. The Director also serves as an advocate and source of information for University Studies, represents University Studies in appropriate venues, and facilitates coordination among the University Studies' Explorations Beyond the Classroom component and other applied learning activities. The Director works with the General Education Assessment Director and others as needed in the assessment and consequent improvement of University Studies. The Director is also responsible for the review of relevant student petitions and requests for waivers. In addition to administration of University Studies, the Director of University Studies also works with the Associate Vice Chancellor and Dean of Undergraduate Studies on efforts to generally enhance and promote undergraduate education at UNCW. As anyone who has worked with Cara knows, she brings tremendous energy and enthusiasm to this role and we are deeply appreciative of her willingness to help with the administration of this critical and central curriculum. **UPDATE April 1, 2015**-The Watson College of Education Dean Search Committee will host the fourth and final candidate for this position this April 7-8. Three visit have taken place and the final open forum is listed below..
For additional information, please contact Martin Posey, poseym@uncw.edu . March 20, 2015-The Spring Faculty Meeting has been rescheduled from April 1, 2015 to Tuesday, April 14 from 2-3:00 p.m. The meeting will be held in the Education Building, Room 162. March 19, 2015-Your input is needed in the new University Innovation Council's IdeaScale campaign to improve our campus' green effors. In response to student advocacy efforts, UNCW is implementing a green fee to improve campus sustainability. Faculty and students are encouraged to submit ideas and suggestions about the projects and initiative investments UNCW should consider implementing to get to the next level of making us a greener, more sustainable place at https://uncw.edu/innovate/. March 16, 2015-The Watson College of Education Dean Search Committee is announcing that four candidates for this position will be visiting the UNCW campus between March 23 and April 8. The interview dates and times for open forums are listed below. Other opportunities to meet with the candidates will be announced during the coming weeks. For additional information, please contact Martin Posey, poseym@uncw.edu . **UPDATE March 17, 2015** In partnership with Port City Java, an incentive for faculty is in place to complete the COACHE survey of faculty job satisfaction. 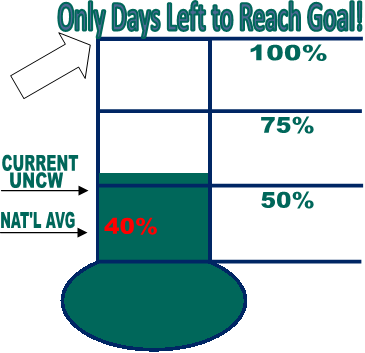 Nearly 50% of UNCW faculty have responded at the half-way point of the survey administration, and in efforts to achieve 100%, those faculty successfully completing the survey will receive a complimentary beverage. As of March 17, the UNCW campus reached 44.7% completion compared the the national average of 35.6%. 100% of faculty participation is the goal in order to maximize the results and pinpoint areas of interest. Full-time faculty (tenured, tenure-track, and non-tenure track) who are not in their first year are encouraged to participate. February 25, 2015-Faculty are encouraged to improve UNCW by lending their voice to the COACHE survey of faculty job satisfaction. The UNCW campus reached a 28.22% completion rate compared to a 17.64% national average. COACHE, the Collaborative on Academic Careers in Higher Education, conduct this survey nationally every three years and is administered by Harvard. February 13, 2015-UNCW faculty are now participating in COACHE, the Collaborative on Academic Careers in Higher Education, a national survey of faculty job satisfaction. The goal of the survey is to generate actionable diagnoses that will be used to maintain a vibrant faculty at UNCW in support of one of our highest and continuing priorities--to recruit, support, and retain high quality, diverse faculty. COACHE data will inspire data-driven discussions and decision-making, but success is dependent on a high level of faculty participation to provide meaningful results. COACHE allows us to dig deeply into the issues of greatest concern to our faculty and to access both longitudinal data as we compare our results to past cycles and to peer data as we compare our results to other institutions. Nationwide, more than 31,000 faculty are participating in the survey, including 574 from UNCW. As of this week, 26% of UNCW's faculty have competed the survey. The UNCW COACHE Committee encourages faculty to complete the survey. A high level of faculty participation will ensure the continued improvement of the academic workplace. Faculty who have misplaced the COACHE email containing their personalized link to the COACHE survey may email COACHE at coachefaculty@srbi.com to generate a new link for their participation. Deadline to complete the survey is April 10, 2015. December 22, 2014-Jeremy Summers, former Kenan Auditorium operations manager, was recently appointed interim director of cultural arts. A native North Carolinian, Summers and his wife moved to Wilmington in 1999 where he has since worked in the performing arts community and with UNCW. Summers has hosted award-winning talent in music, dance and theatre and is a performing musician himself touring the east cost from NY to the Virgin Islands as a drummer in blues and rock bands. He has shared the stage with Hubert Sumlin, Robert Cray, Shemekia Copeland, Buddy Guy, Sonny Landreth and The Avett Brothers and has co-written and recorded four albums and is working on a fifth. Summers also holds a Culinary Degree and honed his management skills in the restaurant industry while becoming an award-winning chef. He enjoys vegetable gardening, attending his daughters' sports and arts events, fishing, football and visiting the family farm in Statesville, NC. December 1, 2014-All faculty are asked to keep the 2015 Hoggard Medal for Achievement in mind as work progresses with students in fall and spring semesters. The official call for nominations will be sent early in the spring 2015 semester. "A medal, presented through the generosity of the late Dr. John T. Hoggard, is awarded annually to the graduating senior who, in the opinion of the faculty, has shown the most improvement during his or her years at the university." This improvement may be reflected in the GPA or academic progress, but may also be demonstrated by the student having overcome or succeeding despite adversity, academic or personal, or achieving significant growth in maturity from a weak, lackadaisical or minimally engaged to an active, successful student. Students eligible for nomination for the 2014-15 medal are those graduating summer 2014, fall 2014, and spring 2015. The recipient will be announced at a special awards ceremony the day before spring commencement. For further information contact Carol Ellis, ellispc@uncw.edu. November 24, 2014-This This week, Tanveer Hassan from the US embassy in Islamabad and Dr. Mumtaz Ahmad from the International Islamic University of Islamabad visited our campus and met with Chancellor Sederburg, Provost Battles, other members of campus leadership, and our State Department grant team as part of an ongoing collaborative partnership. This partnership, supported by a grant from the US State Department, involves not only our external State Department and IIUI partners but many departments and offices here on campus including Undergraduate studies, CTE, CFL, ETEAL, and OIP. For more information about the IIUI-UNCW partnership or the grant that supports it, check out our website here. This will be a national search with an anticipated start date of 1 July 2015. The committee will be formally charged during the first week of December and further information will be provided as the search progresses. Our sincere thanks go to these individuals for their willingness to contribute to this important recruitment effort. November 21, 2014-Professor of Geology, Dr. Patricia Kelly, is the fourth UNCW Professor of the Year, and the first recognized as a national winner of CASE/Carnegie's U.S. Professor of the Year award. Council for Advancewment and Support of Education (CASE)/Carnegie Foundation for the Advancement of Teaching recognizes four national winners base on type of school each year and also state winners. Dr. Kelley was selected from a field of over 400 nominees in the category of master's comprehensive institutions in a ceremony on November 20th at the National Press Club in Washington, DC. In the UNC system, Charlotte is the only other school to have had national recognition since the establishment of the Professor of the Year program in the early 1990's. Kelley joined UNCW in 1997, serving as the chair for the Department of Earth Sciences from 1997-2003 and aims to engage all of her undergraduate and graduate students by creating a student-centered classroom, using inquiry-based methods, and collaborative forms of applied learning. She also received the Board of Governors Award for Excellence in Teaching in March 2014. Further information on Dr. Kelley is available at https://uncw.edu/earsci/PeopleKelley.html. November 20, 2014-ETEAL hosted a reception and project showcase for current and newly funded ETEAL instructors in the Clock Tower Lounge Thursday November 13th. Instructors working on ETEAL-supported Applied Learning experiences in the fall semester got to meet and exchange ideas with others who were recently awarded funding for Applied Learning projects in the Spring. Faculty, staff, administrators, and even the Chancellor joined in the conversations about the challenges and rewards of Applied Learning here at UNCW and the benefits it holds for both students and faculty members. 1. Review the general models of institutional external engagement used throughout the country that may fit UNCW. Determine how these models might apply to the mission and strategic plan of UNCW and of the Board of Governors. 2. Provide ideas and options about the role of UNCW in promoting the regional and state economy and workforce needs. Include ideas and options about how the university can become a state and national leader in integrating liberal arts, applied learning, and community partnerships in meeting these needs of the region and state. 3. Provide the incoming Chancellor with a set of options to assist him/her in providing UNCW with a clear direction and plan in our further development as a coastal university and as a regionally engaged university. The task force seeks your participation, feedback and support in looking at ways to accomplish these outcomes. A 'town hall' forum is schedule Monday, Nov 24th from 11 a.m. to 1 p.m., in James Hall Auditorium, Room 102. Please make every effort to attend, as the members of the task force are interested in your input on this important matter. If you are unable to attend the forum, feel free to provide your feedback to any of the task force members. November 18, 2014-If you want help taking your socially innovative work and your students on the path from concept to a sustainable business model, then we'd like to invite you to attend a Social Entrepreneurship Business Model Workshop on November 24th from 9-11:00 a.m. at the Center for Innovation and Entrepreneurship. The workshop will be hosted by the Harvard-trained Fran Scarlett, who shares her extensive business experience with UNCW and the surrounding region as a Cameron faculty member and Regional Director of the Small Business & Technology Center (SBTDC). To attend, complete and submit this application to ETEAL@uncw.edu by Thursday, November 20th. This will be a national search with an anticipated start date of 1 July 2015. The committee will be formally charged this week and further information will be provided as the search progresses. Our sincere thanks go to these individuals for their willingness to contribute to this important endeavor. November 7, 2014-Academic Affairs is supporting the exploration of an expanded mission for the Center for Teaching Excellence and the Center for Faculty Leadership and an organizational structure supportive of that broadened mission. The study includes examination of various models for faculty professional and leadership development and innovative approaches to empowering faculty in the areas of teaching, scholarship, and service that address the changing nature of higher education. The overarching goal is to enhance UNCW's support for faculty professional success. Central to this exploration is a study committee composed of Tom Barth, Susan Catapano, Leslie Hossfeld (Committee Coordinator), Christopher Lantz, Colleen Reilly, Peter Schuhmann, and Brian Victor. The committee is seeking input from the campus community, including focus group discussions that include current and former directors and the advisory board of CTE/CFL, various faculty groups, chairs and directors, and other constituent groups. Faculty and staff are also encouraged to participate in an open forum from 2:30-4:00 on 18 November in McNeill Hall room 1051. Please contact Leslie Hossfeld or any member of the study committee if you have questions. November 5, 2014-Did you know that the Office of Research Services (ORS) is the service unit on campus that is responsible for the submission, negotiation, acceptance, and oversight of all externally sponsored programs including contracts, grants, and other cooperative agreements. UNCW faculty and staff should contact ORS before submitting any request for funding to an external agency, including local and state governments, private businesses, and/or foundations. ORS will make sure that projects are in compliance with applicable state laws, federal regulations, and UNC system and UNCW policies. This will ensure that UNCW can be the recipient of any funds that may be received. An Academic Affairs open forum for the chancellor and all interested university faculty, staff, and students will be held on Monday, November 17, 9-11 AM in Lumina Theatre. Academic Affairs will highlight the many activities of Enrollment Management, Undergraduate Studies, Research and Graduate School, Center for Marine Science, External Programs, Institutional Diversity and Inclusion, offices reporting to the Vice Provost, and Resource Management. I am writing today to share the news that Dean Ken Teitelbaum has announced his desire to resign from his role as dean of the Watson College of Education (WCE).His transition to the faculty in the Department of Instructional Technology, Foundations and Secondary Education will be effective July 1, 2015. Since taking the position in July 2011, Dean Teitelbaum has made a significant impact on the college, the campus community and beyond. Under Ken's leadership, WCE underwent a very successful national accreditation review and received an exemplary achievement award from the National Association for Professional Development Schools. During his tenure, the WCE faculty expanded several academic programs, including new baccalaureate certificates and new specializations for master's and doctoral degrees, as well as unifying separate MEd programs. Ken encouraged connections between the units in his college as well as with the community through a speaker series, open forums, brown-bag lunch discussions, a WCE Advisory Board, and more. Furthermore,Ken co-edited and authored a chapter in the bookSchool Reform Critics: The Struggle for Democratic Schooling(Peter Lang, 2014)this past year and served on the Board of Governors of the Renaissance Group, a national consortium of colleges, universities and a professional organization, with a major commitment to the preparation of educational professionals. We plan to initiate a national search for Ken's successor this fall, with the goal of a July 1, 2015, start date. More information about the recruitment plans will be announced soon. Please join me in thanking Dean Teitelbaum for his service.I wish him well as he prepares to return to faculty next fall. September 10, 2014-The University Innovations Council (UIC) has identified an area of research that may be of interest to some members of the UNCW community. The UIC is interesting in developing a predictive model that will help with the forecasting of student demand for courses in future semesters. Greater accuracy in predicting course demand/ enrollment would improve overall efficiency (e.g., resulting in fewer instances of courses that are offered that do not reach minimum enrollment), as well as decrease time to graduation by improving curriculum planning, and facilitate planning for new hires and resources such as long term plans for new/expanded infrastructure such as buildings. Much of the data required to establish such a predictive model is already available, as UNCW administration is willing to provide information on past enrollment figures. One approach to accomplishing this goal is to use enrollment data from approximately ten years ago, along with other factors, such as average annual growth and other variables that impact enrollment/demand, and to use those factors to predict subsequent enrollment (e.g., enrollment figures from approximately five years ago). This model could then be cross-validated on more recent enrollment figures, and then used to project enrollment for next year, with actual demand in the coming year serving as the criterion variable of interest. The goal of this research is to develop a model that could not only be used to facilitate operations at UNCW, but could be replicated for use at other institutions. The expectation is that the faculty members involved would be authors on any empirical work resulting from this research, and with respect to any innovations, such as patentable ideas or programs, the shared ownership model would be consistent with standard UNCW policies. The UIC has special funds available to facilitate a course buyout for the project director, as well as funds that could be used to hire a data analyst or research assistant. Project proposals may request up to $20,000 in FY2015 funds (up to two awards may be made). Interested parties should submit a brief letter of interest, including their desired level of involvement on the project and their CV to Ron Vetter, vetterr@uncw.edu by October 15, 2014. Requests regarding data content, format, and access should also be directed to Dr. Vetter. September 4, 2014-Academic Affairs is supporting the exploration of an expanded mission for the Center for Teaching Excellence and the Center for Faculty Leadership and an organizational structure supportive of that broadened mission. This effort will be coordinated by the Associate Vice Chancellor and Dean of Undergraduate Studies. The study will include examination of various models for faculty professional and leadership development and innovative approaches to empowering faculty in the areas of teaching, scholarship, and service that address the changing nature of higher education. The overarching goal is to enhance UNCW's support for faculty professional success. Central to this exploration will be a study committee composed of Tom Barth, Susan Catapano, Leslie Hossfeld (Committee Coordinator), Christopher Lantz, Colleen Reilly, Peter Schuhmann, and Brian Victor. The committee will seek input from the campus community, including focus group discussions that include current and former directors and the advisory board of CTE/CFL, various faculty groups, chairs and directors, and other constituent groups as well as an open forum. The committee will also look at models from other institutions, studies on organization of faculty development units, and other resources as appropriate. Target completion for this work is the end of fall semester. This year's keynote speaker is Dr. Jane Marling, Executive Director of the National Institute for the Study of Transfer Students. Thomas Ross, UNC President, has identified retention and graduation rate improvement as continued goals for the coming year. Additionally, the UNC Board of Governors and the Legislature also have a strong interest in creating more seamless transfer pathways between UNC constituent institutions and North Carolina Community Colleges. With campuses across the state developing transfer student units, there is a need to better understand the diverse needs of this population. The 2014 Transfer Student Success Conference is designed to not only share best practices, but to provide a network and learning community for people across the system who are working in this area. For more information about this conference, please contact organizer Angela Marshall at (252) 328-4173 or marshalla@ecu.edu. For questions concerning travel arrangements, please contact Martin Posey at poseym@uncw.edu.